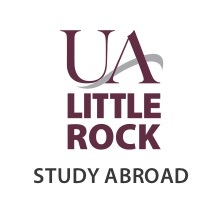 The UA-Little Rock Office of Study Abroad is located in Education 101A (in between Ross and Dickinson). We are here to help with all of your study abroad needs, before, during, and after your experience. Please feel free to set up an appointment, or if you have immediate needs or questions, please email studyabroad@ualr.edu or call 501.569.3376. Outside of these times, please make an appointment by using this website. If you are 15 minutes late for your appointment, we will ask that you reschedule.